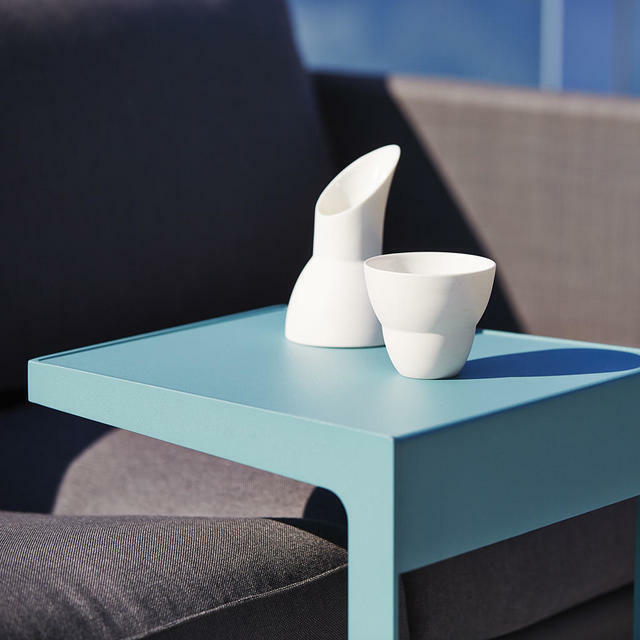 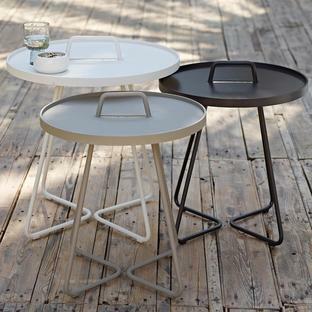 The perfect side table for the outdoor lounge. 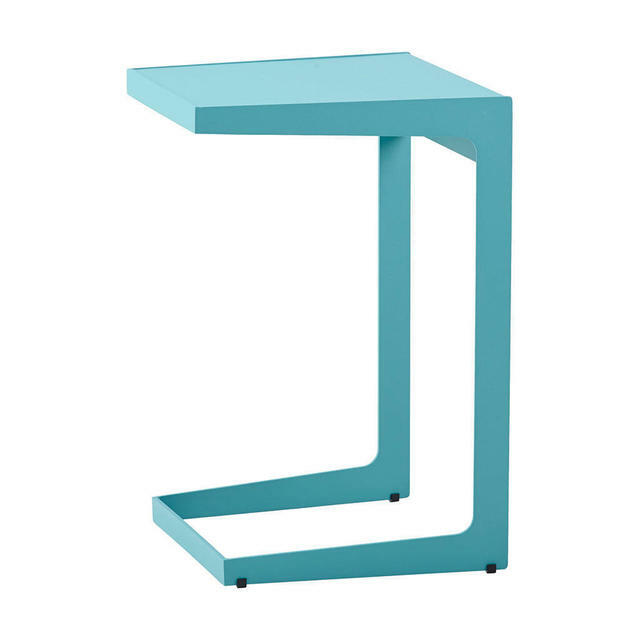 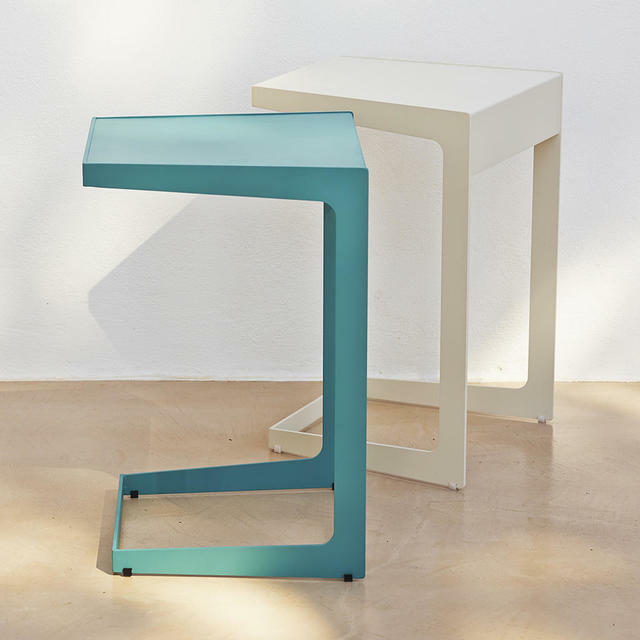 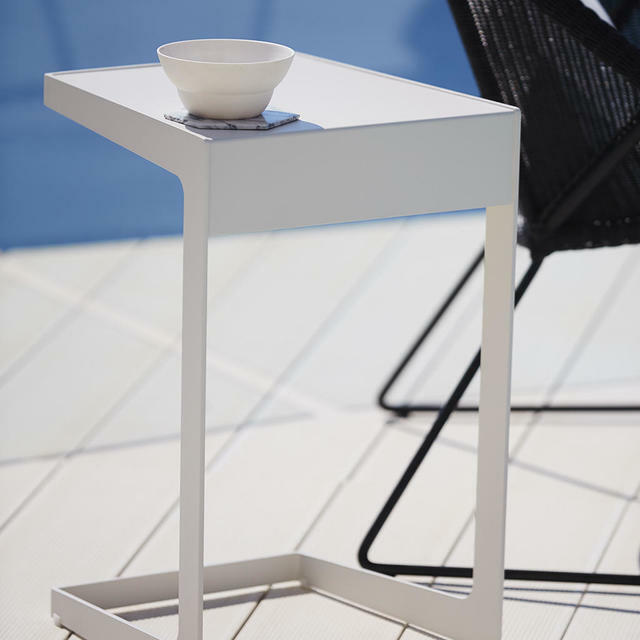 The Time Out small side table adds a whole new dimension to the traditional side table. 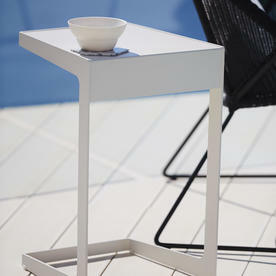 It is made from all-weather powder-coated aluminium. 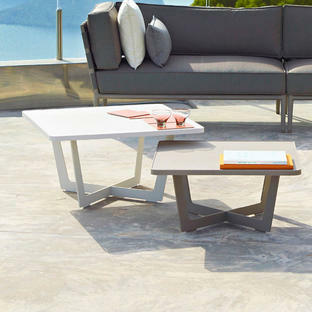 It cleverly stands alone as shown here or will slide over the edge of your outdoor lounge seats and bring everything closer, without the need to stretch for that ice cold drink. Designed by Scandinavian designers Strand+Hvass. 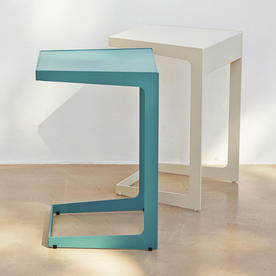 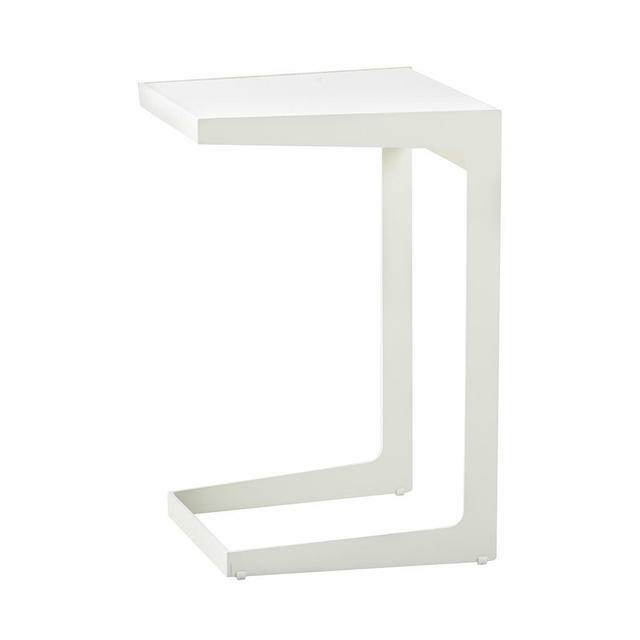 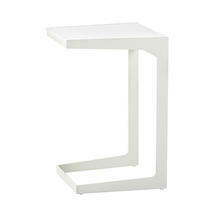 This small side table the perfect match for any style, and is suitable both indoors and outdoors. Pictured here with the Breeze Lounge Chair. 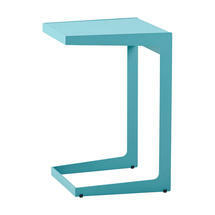 Available in a choice of either Aqua or White. 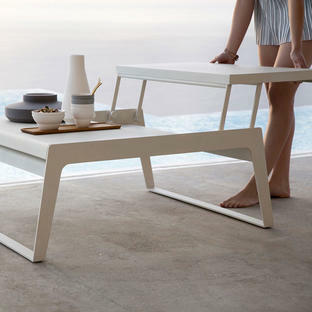 Also available in the Time-Out collection is the larger Time-Out Coffee Table. 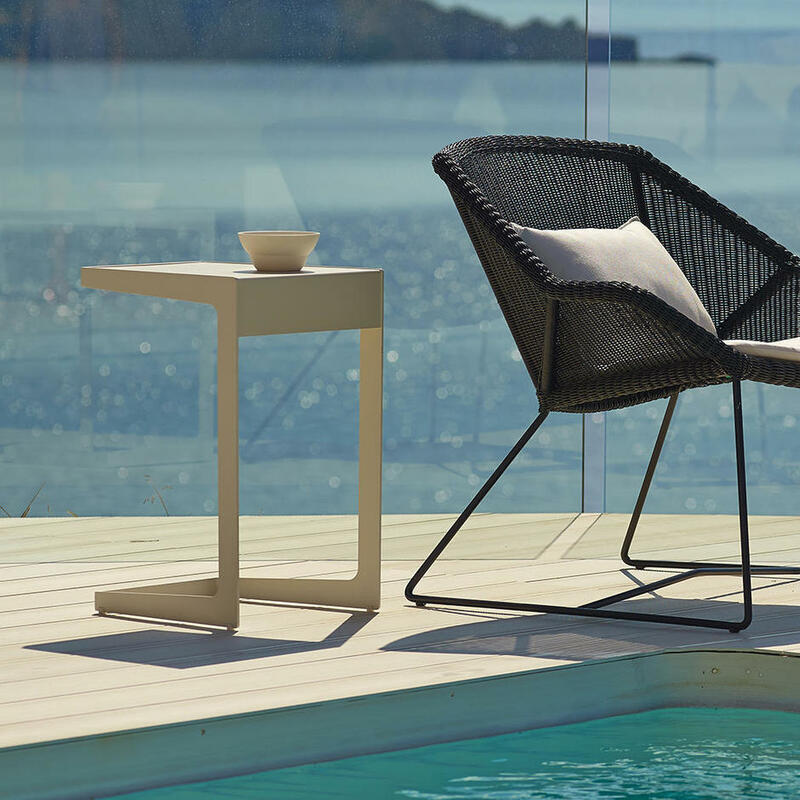 Made from Cane-line Powder Coated Aluminium, which is UV resistant.